Builder-grade ceiling lights can be boring. These flush-mount light fixtures are chosen because they are usually the cheapest option, and because they are simple to install. As luck would have it, however, they’re also really easy to transform into something unique with just a little imagination. 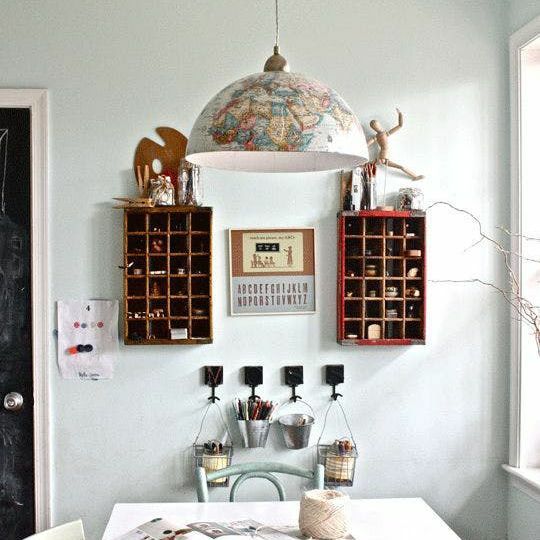 If you like the thought of saving money on light fixtures by upcycling something you may already have, take a look at these ingenious ideas below for creating overhead lighting. Lots of different things can be turned into light fixtures. Pendant lights, in particular, are probably the easiest type of ceiling light to DIY using items you may already have around the house. Each of the unexpected items below were turned into a ceiling light fixture with the help of, in most cases, just a simple pendant light kit and some ingenuity. Global decor is trending right now, and this pendant light project would make a great addition to a home full of eclectic, worldly finds. Mason jars have gone from ubiquitous trend to household mainstay. This super simple tutorial turns your run of the mill glass canning jar into a charming light fixture. You'd never guess that these light fixtures used to hold canned veggies! A quick coat of paint and a pendant light kit is all you need for this simple DIY. Blogger Lindsay Ballard purchased an old tom-tom drum off eBay and turned it into a rockin' pendant light. (Sorry, we couldn't help ourselves.) Perfect for a musically inclined family, or a teen's bedroom, this DIY project is a great way to upcycle a drum kit that is otherwise gathering dust. 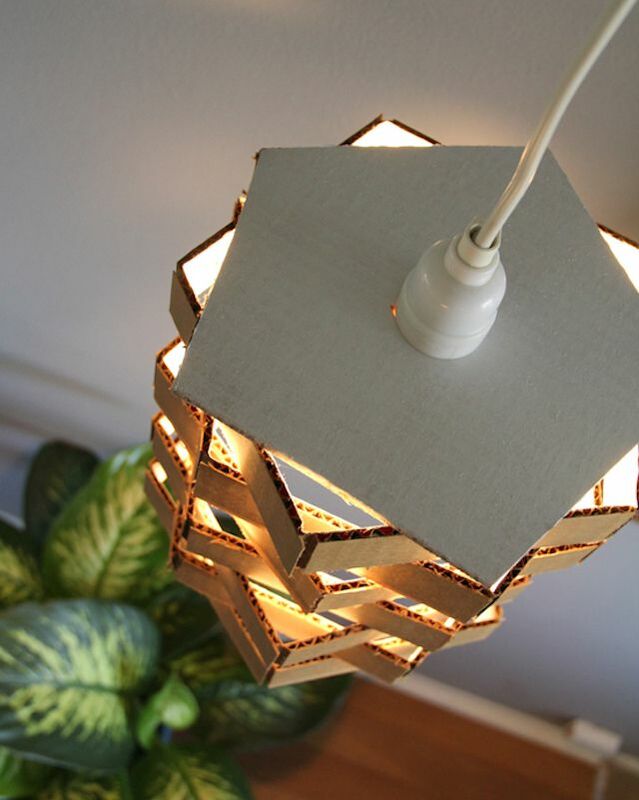 This creative DIY is both a genius way to upcycle cardboard and an inexpensive way to create a stylish pendant light! It will surely be the talk of the party the next time you have guests over. This quirky cute pendant would be at home in a country kitchen. From unused bowl to statement light fixture. This blogger found a dramatic black and gold bowl at IKEA, and turned it into a pendant light that looks far more expensive than its $20 price tag. This rustic pendant light is actually made from sisal rope woven through a planter basket. It would look right at home in a beach house living room or farmhouse kitchen. Who knew there was so much potential hidden in old planter baskets? This DIY leaves the ironwork basket exposed for a old world, Tuscan-inspired look. Here's one DIY project we never would have come up with. Old turbines from roof vents get a new life as light fixtures for a look that is a little bit industrial and a little bit modern farmhouse style. We love upcycling old wine bottles. Use red wine bottles for a soothing, other wordly glow or white wine bottles for a cleaner look. While this tutorial uses a wicker trash can for a rustic look, any style of wastepaper basket would work. You'll never look at the trash the same way again!